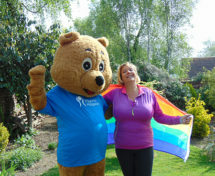 Wendy Hills, Pilgrims Hospices Director of Nursing and Care Services has taken the challenge and joined forces with family and friends to take part in the Thanet 5K Colour Run next month. 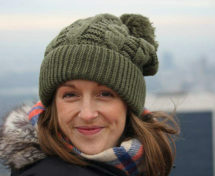 Brave Helen Webster from Whitstable will step out and wing walk in memory of her father-in-law, Ian Webster. 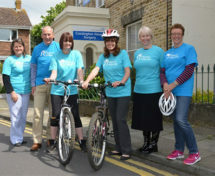 Friends and colleagues from medical practices across Canterbury along with hundreds of eager cyclists will take to the road on Sunday 30 April taking part in Pilgrims Hospices Cycle Challenge. Pilgrims Hospices is offering a new service – Pilgrims Caring Collection – to families, carers and friends having to undertake personal possession clearance. 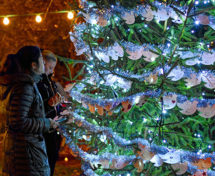 Local people across east Kent raised more than £60k for Pilgrims Hospices by taking part in the charity’s Trees of Love campaign.